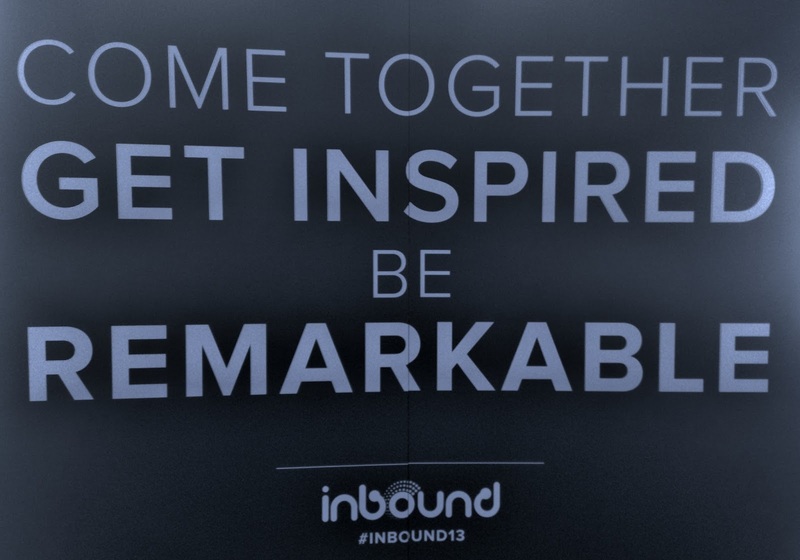 I had a lot of fun presenting at inbound 2013. I think it went over well and the crowd enjoyed it. My hope is that my talk could resonate with people who currently don't spend enough time doing analysis. I suspect that the audience was already biased to probably like it because folks who care about Analytics already are more likely to attend the session. BTW, if you don't know any RegEx, please read my post on why every Marketer should know RegEx. It may seem scary at first, but with just 15 minutes of practice you can start doing very cool stuff with it. I'm keeping my fingers crossed to be asked back for Inbound 2014. If' you'd like that, let the HubSpotters know. I had hoped that the session would have been recorded. Maybe next year it could be. 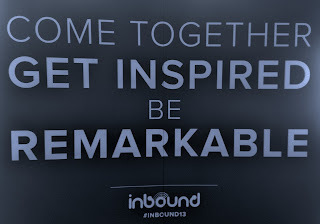 The slides from the other presentations at Inbound 2013 can be found on their site here. So much knowledge to learn. Take your time and let it sink in. I know that I had to miss a lot of sessions because of schedule conflicts. I hope that I can get 80% of the value from reviewing the decks of the sessions I missed. The biggest problem in any CRM deployment is getting compliance from your salespeople to actually use the tool. I can't tell you how many companies I've seen, large and small, who have spent a lot of time and energy implementing CRM or CRM-like tools (both off the shelf apps like Salesforce and Microsoft Dynamics and fully custom in-house apps), only to have none of their sales reps use the CRM or only do the bare minimum within it. Many still manage their leads in Outlook or Excel or just a plain old fashioned notebook. In my opinion. there tends to be much better usage and compliance actively using the CRM by services/support departments than sales. Not a big surprise given the inherent natures and incentives of those different types of departments. In fairness to all of the sales dept's that I may have slighted just now by speaking an inconvenient truth, I understand why so many still refuse/ resist using the CRM to track lead activities. All humans, and especially sales reps are people of habit. Few people like change, being told what to do or feeling micro managed, especially sales. However, the way that most CRMs are deployed these days that is exactly what IT or Management is asking of the sales department. You must change. You must do things this way from now on AND we are going to tell you that you can't even use the normal email program that you've used for years. Plus you need to log everything (wasting your precious time) you do in a separate tool so we can track you (to make sure you are selling and working hard enough). Right or wrong, that at least is how the reps usually perceive it. The saddest part about this non-compliance trend is that the reps actually would (and for those who use it already do) benefit from leveraging the CRM and putting their data and activities in there. The president of our cloud division, Keith Nealon, always says that a well maintained CRM database is one of the most strategic revenue generating assets that any company could have. He's right. You just need to figure out a way to convince salespeople to add value to the CRM. That's all true. But sales is the most "now" focused dept. in any company. That tends to fit their personalities, but it also is reinforced with monthly and quarterly quotas. They have a ton of pressure to worry about the immediate and not the future. They are not alone either. We all know more or less that if we eat more vegetables, have less salt and exercise more we'd live longer and healthier lives, yet few can say no to that piece of cheesecake (or pizza or doughnut, etc.) sitting in front of them. Now usually trumps later. That's where Signals from HubSpot comes in. I just learned about it at Inbound 2013. I sat through the product overview session and was able to meet with the two team leads on the project. I think that this has a real chance at getting sales reps to see the value of the CRM. I won't go into the full details on everything it, but one of the main values it has is that it gives your reps immediate feedback on active opportunities. Reps get a small ping like notification when people they send email to view their sent emails as well as when they check out links included in those emails, visit the sales rep's website and other interesting moments that occur in the sales funnel. The appeal for sales reps is that they have easy to use, actionable info on their leads right from the two most common tools they already use: the browser (Chrome on PC & Mac for now) and Microsoft Outlook (for Windows). One of the truest clichés is that time is money. For a rep, any time saved is more time to potentially improve their pipeline and you always want to take action at the right moment. Reaching the right person at the right time can make all of the difference. Without this immediate signal, reps are just guessing on when the right time will be to send that email or pick up the phone to talk to the right person who's ready to buy. The analogy I came up with when first learning about the tool is to imagine an EMT driving around the city randomly, looking for sick or injured people who need to be taken to the hospital. That's ridiculous, I know. We have 911 and that is a big honking signal that tells the driver when and where the ambulance needs to be. 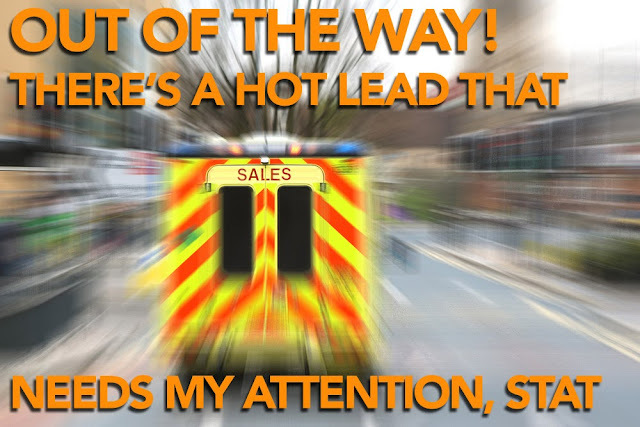 Properly timed sales calls may not be a question of life and death like it is for an ambulance driver but it can be the difference between making quota or not. For most companies, sales reps are like the randomly driving ambulance EMT. With Signals on the other hand, that could be 911 for the sales dept. If you gave a shotgun to a caveman (no direct relation to salespeople although some may beg to differ with me -- I just like the analogy) and tell him to go hunting with it, he'll sneak up to his prey and will try to bash its head in by swinging the handle of the gun at its head instead of firing a shot. We are all creatures of habit and we do what we know. It takes time and effort to learn most new skills. That's why it's essential for successful CRM deployments that you need to tap into the tools that reps already use (or at least something that is very close to what they are already using). My company's phone system has the deepest and most sophisticated integration with Salesforce.com in the market today (as well as plenty of other apps like NetSuite, most applicant tracking systems and other apps through our public API). It does all sorts of awesome things that improve customer service and notifies reps of activities in Salesforce.com etc. but the killer feature in my opinion is that it automatically logs to your Salesforce records all calls that you make and that you receive from your accounts. The rep doesn't even need to be signed into Salesforce for the call to be logged in the system. They could be on the street using their smartphone with our mobility app and the calls still get logged to the opportunity. They miss a call from a good prospect and get a voicemail instead? It's automatically transcribed and both the transcribed text and the audio are attached to the contact record in the CRM as well as sent via email to the sales rep.
What we are dong with the phone system, Signals is doing with email and your website (and LinkedIn BTW). Integrated with HubSpot and Salesforce.com, your reps can continue to send and receive emails from Gmail/ Google Apps and Outlook (both the Outlook client and outlook.com) while now logging that information into their contact records. Virtually no change is needed in the rep's current behavior and the installation and setup process seems drop dead easy. Want to get notified immediately when the VP of IT is looking at a page on your website? Done. Want to know when you just got a qualified lead handed to you from Marketing? Done. Need to know when your lead opens your email with the latest sales proposal? Done. Really. We are going to start testing Signals in our organization. I'm optimistic that it will take on quite quickly for the reasons mentioned above. Anything that seems this easy that can push the needle would be a big win for any organization. Do you see the potential? I sure do, and can't wait to get started. It's a Signal I've heard loud and clear (I don't know why that is the common expression when it should be "loudly and clearly"). Google - Fix GCal's Multi-Email Calendar Bug Please! Overall, I really enjoy using Google Calendar. It is fast, flexible, free, and accessible from pretty much anywhere. However, there is a very annoying bug that drives me nuts and I hope they can fix it soon. Google Calendar does not understand associated email addresses from Google Accounts when it comes to invitations. Long ago, Google enabled "associated email addresses". These allow you to map other email addresses to your primary Google account. This has multiple benefits such as allowing you to login to most Google applications, even Google Calendar, with any of the email addresses you have associated with your account. When you setup a new alternate email address, you need to go through the steps of validating the email address and clicking through on a verification link sent to that account. As I said, you can login to your apps by using the primary or any of the alternate email addresses and it works fine. That is, until you receive a gCal invitation sent to one of those alternate email addresses. At work we happen to use MS Exchange instead of Google Apps. I'd prefer Google Apps, but that is not my call. So, we make the best of it we can. However, I work with outside vendors who do happen to use Google Apps for their businesses. When we schedule meetings, such as for a screen sharing conference call, I'll often receive a calendar invitation from the partner/vendor, etc...and it will have been sent via Google Calendar. Of course, being work, they will send it to my work email address. For this example, let's say it's email-2@domain.com and my primary, personal gmail account is primary-email@gmail.com. Remember, email-2@domain.com uses the exact same Google Account as primary-email@gmail.com. As far as access to Google Apps is concerned, these should be considered aliases and I should have equal access. Unfortunately, it does not recognize that email-2@domain.com is a valid and verified email address for primary-email@gmail.com (and vice-versa). It it were smart enough, it would let me see the event because they both belong to the same Google Account. Perhaps this is just an edge case and that is why the bug persists. Nevertheless, it is a crap user experience and Google should fix it. So, Team Google Calendar, please fix this. We'll give you a +1 for it. M. Freeman. Awesome Inc. theme. Theme images by Storman. Powered by Blogger.